After a week of custard tart I am inundated with egg white. Obviously, the go to recipe is meringue. The general rule is: 50g of caster sugar per egg white. Bake on something non-stick for 25 minutes at 120°C, more if you want all crunch and no chew. I used four egg whites and added two tablespoons of Valrhona cocoa powder to make chocolate meringues. Stick two together with some ganache for the lightest after dinner chocolate bite. 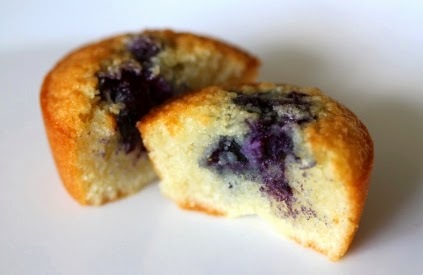 Or you could make Friands. Read that again. You probably saw friends. No. Friands: small French almond sponge cakes. I say French but they seem to be most popular in Australia, almost their national cake. They are also known as Financiers in France, where they are shaped like gold bars. You can add interest and moisture by baking some fruit in with the mix. I usually plump for blueberries, straight from the freezer but raspberries are excellent too. Melt 100g of unsalted butter in a small pan. Once melted, continue to heat until the butter turns a golden brown. Cool the pan, to prevent the butter from burning, by placing it in cold water. This is beurre noisette and it adds a wonderful flavour. It also smells fantastic. Allow the butter to cool. Whisk three large egg whites to the soft peak stage. Sift 25g plain flour with 125g icing sugar and 85g ground almonds. Into this finely grate the zest of one lemon. Grate it over the flour so you catch the citrus oils. Fold this into the egg whites, making as few folds as possible. Keep the mixture aerated. Gently stir in the butter. You should now have a light, floppy batter. Divide this up into eight well buttered moulds. Moulds? I have a friand tin but you can use a cupcake or mini-muffin tin. Just keep an eye on the timing. You might need a minute more or less, depending on the size. push some fruit into the top of each cake. Only three or four blueberries, maybe two raspberries. Any more and the cakes will fall apart. Bake for 15-20 minutes at 180°C until just golden and gently firm to the touch. Leave to cool before turning them out. These are delicate creatures. Best eaten when just warm.